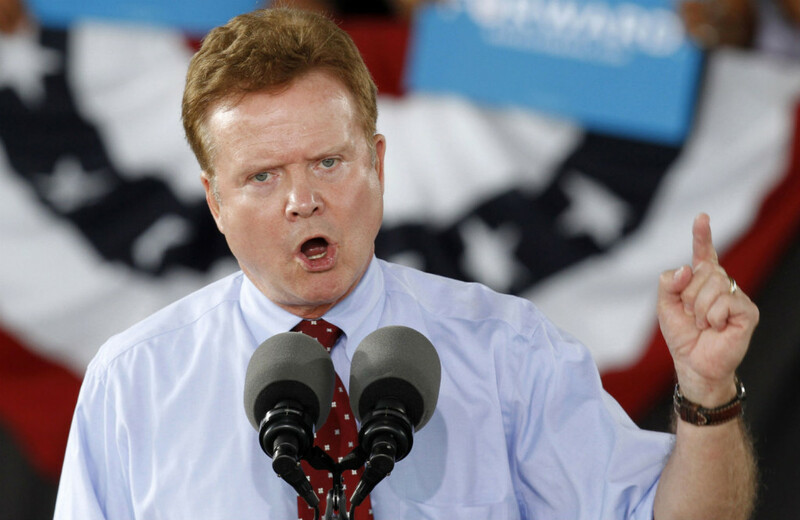 Jim Webb continues to talk about an independent run for the presidency, and has now hired former Draft Biden finance director Sam Jones to handle fund raising should he decide to run. Should Hillary Clinton win the Democratic nomination there we will have a situation where the Democratic candidate is at least as hawkish, and very likely more hawkish, than the Republican candidate–and we have seen how the Republicans cannot be trusted on foreign policy. Webb would be preferable to Clinton or any likely Republican candidate on foreign policy, having disagreed with Clinton on her support for both the Iraq war while in the Senate and her push for regime change in Libya as Secretary of State. Both of these policies supported by Clinton have resulted in disasters. While Donald Trump also has a better track record than Clinton regarding regime change, he has far too many other negatives to be seriously considered as commander in chief. Having Webb in the race could theoretically provide a counter to the likely neocon policies of both Clinton, should she defeat Bernie Sanders for the Democratic nomination, and most Republican candidates, Webb is otherwise too conservative to provide a meaningful choice. As any vote for a third party would amount to only a protest vote, other possibilities look far more intriguing. At this time, should I make a protest vote (which is easier not living in a battle ground state), I lean towards Jill Stein of the Green Party. Gary Johnson, who also ran in 2012, has also announced his candidacy for the Libertarian Party nomination. Considering that Clinton’s record on civil liberties is also extremely conservative, I might also consider him as a protest vote should Clinton win the Democratic nomination. Entrepreneur Austin Petersen and cybersecurity expert John McAfee have also announced candidacies for the Libertarian Party nomination. Jesse Ventura has also expressed interest, which might make the race even more interesting. Posted in Bernie Sanders, Donald Trump, Foreign Policy & National Security, Gary Johnson, Hillary Clinton, Iraq, Jill Stein, Libertarianism, Politics, Republicans. Tags: Bernie Sanders, Civil Liberties, Donald Trump, Gary Johnson, Hillary Clinton, Iraq, Jill Stein, Jim Webb, Libertarianism, Libya. RSS feed for comments on this post.. TrackBack URL. I think it is about time that people stop referring to voting for anyone outside of the major two political parties as a "protest vote". Americans are becoming more and more disenfranchised with both of the major parties due to the hyper-partisanship that has become the new norm. According to a June, 2015 NBC/Wall Street Journal poll, 45% of Americans identify as "independent", politically. Additionally, a poll by Americans Elect found that "70% of Americans asked during a petition drive (covering 41 states) if they wanted to see someone on the ballot other than a Republican or Democrat said they would." and "81% of respondents would like to see a third candidate competing in every election." Also, "76% of survey respondents believe that the only way to break partisan gridlock is to have independents in power." and "In the current cycle, 62% of survey respondents are prepared to vote for an independent if they have the chance to get to know that independent." Times are changing and it's time the media begins to tell the truth about this rather than continuing to plant the seed of fear that a vote for anyone other than a Republican or a Democrat is a wasted vote. As long as the vote for the Green and Libertarian Parties remains as low as it is, a vote for them will have to be considered a protest vote. However casting such protest votes is the only way that there will be a possibility of such parties growing in the future. Or, as is what has happened historically, votes for other parties does influence the major parties. If the Democrats see more interest in the Green Party, they might take more liberal positions rather than running so many Republican-lite candidates. I do agree with you in that it may be a "protest vote" until more people start to do it and make it meaningful. BUT that is exactly my point. As long as the media continues to refer to a third party vote as a meaningless "protest vote" people will continue to vote for the lesser of two evils in the Republican or Democratic party, even if they don't agree with the majority of their viewpoints. People need to be encouraged to vote their conscience, if we are ever to have a government that is truly representative of the people. And as an aside: who in the world in the Democratic party primaries do you see as Republican-lite? They're all about as hard-core liberal as you can get…and the same is true for the GOP candidates this go-round….leaving the moderate people in this country truly without a party and contributing to the growing number of Americans who identify as Independent. I'm not an arguer, by nature…I am truly interested in intellectual discourse on the matter and thank you for your insight! Note I said protest vote, not meaningless protest vote. I also hate it when people talk about throwing away their vote by voting third party. In some situations, I see a protest vote as being more meaningful than voting for one of the major party candidates. Picking the winner is not the only reason for voting. Clinton is the Republican-lite candidate this year. In 2014 the Democrats generally ran as Republican-lite in Congressional elections, and then were surprised when Democrats saw no reason to turn out. Thanks for the clarification. And…that's interesting about Clinton, I know she is more "hawk-ish" than most true dems, but I never would've considered her Republican-lite! Clinton was a DLC Democrat, which basically pushed Republican ideas (while sometimes more moderate) on the Democratic Party. Besides being neocon on foreign policy, Clinton is almost as far right as the Republicans on civil liberties. The "difference" is that when Republicans called for a Constitutional amendment to ban flag burning, Clinton disagreed. She only introduced legislation to make flag burning a felony. She joined up with The Fellowship while in the Senate, helping to push the agenda of the religious right (differing from them on abortion but sometimes even compromising there). She has attacked Democratic views on economics and health care, even repeating arguments from the Wall Street Journal. She differs from Republicans on the environment in that she accepts the science of climate change, but she is so indebted to the petroleum industry that she pushes essentially the same policies as Republicans. She has been a long time opponent of campaign finance reform. The major difference between Clinton and the Republican candidates is that they are using rhetoric to attract voters from different parties. Once you get beyond the rhetoric, their actual policy positions are very often the same.